Miguel Ordeñana, wildlife biologist with LA County Natural History Museum (NMH) writes in the Nature at NHM blog, that the cat with the possible color combination of ear tags was originally either trapped and tagged by researchers near the LA Zoo in Griffith Park or west of the 101 Freeway in the Santa Monica Mountains. 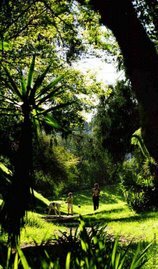 It came from quite a ways away to get to the Red Car Property. Photo: Jonathan Vandiveer, July 13, 2015. 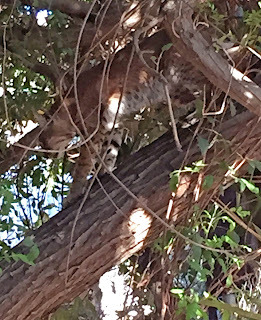 The bobcat was camera shy and jumped into a tree to avoid Vandiveer's iPhone. 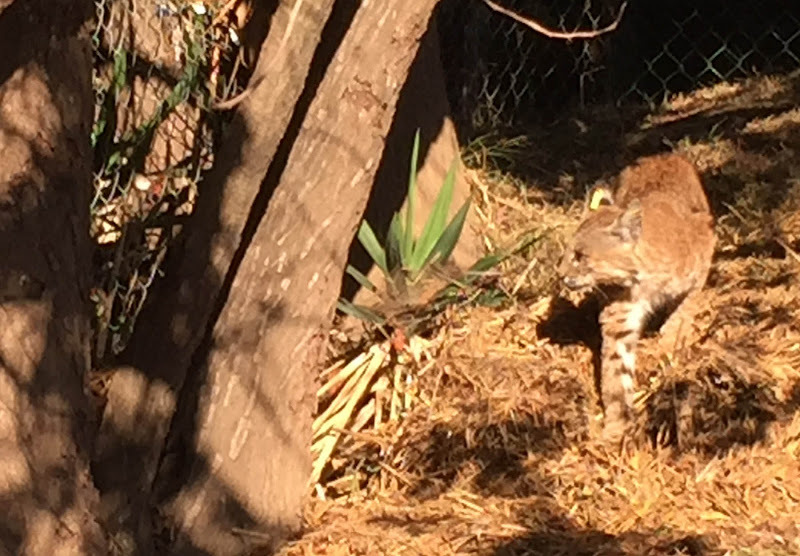 Another first: about a month after Vandiveer's bobcat encounter, Ordeñana captured video footage with a remote "camera trap" of a bobcat with no ear tags in Elysian Park. See the video, photos and read the story about bobcats living in our increasingly fragmented urban open space and backyards in Silver Lake and Elysian Park: Backyard Bobcats of LA.